Bottlenose dolphins are the only mammals who can call each other by names other than humans. Dolphins have a very good memory due to which they remember certain whistles that are nothing, but indications that the others are calling them. We are talking about bottlenose dolphins here, who have their very own special whistles that are quite high pitched and go ‘eeee!’ The moment you hear such a signal, understand that the dolphins are calling out to each other. They are awesome vocal mimics just like humans! They can copy computer generated sounds as well, which is not observed in most of the other sea creatures. Scientists always wondered if dolphins could imitate signature whistles of one another, which would be their names for each other, just like we humans have. 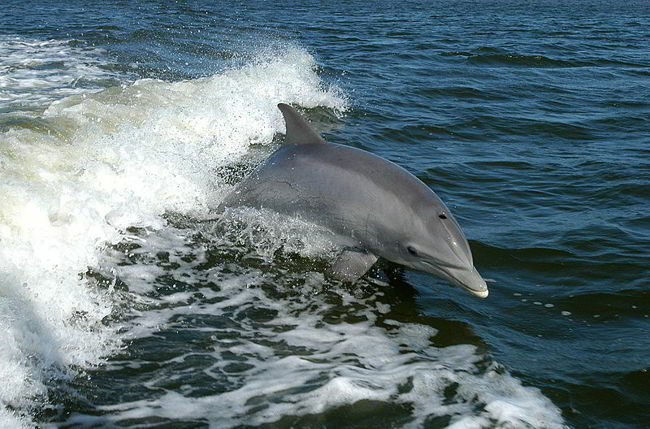 In order to learn more about their whistles, they recorded whistles of several wild bottlenose dolphins and analyzed the recordings. To their surprise, the whistles turned out to be indications and names of the dolphins. With the help of this discovery, the scientists are able to get deeper into the study of brainy marine mammals that squeak, trill and click all the time to communicate with each other. Yes – their whistles are ways to talk to one another; who knows they might be gossiping, too, just like humans! The team had to record sounds of 10 wild dolphins in order to find out what their whistles exactly meant. After analyzing the entire recording, the conclusion was formed. Previous articleA new study suggest that love at first sight has a biological basis.